Beggars All: Reformation And Apologetics: Who Owns Church History? Interesting discussion. Thanks for your scholarly input. I always enjoy your enlightening prose. Daille makes good points but it is not as if they have not been examined and answered in his day. "but for Luther, the church must always appeal to Scripture to determine truth". 1 Tim 3:15: "The church is the pillar and foundation of the truth"
Don't get me wrong but I think -as Christians- we have way more problems with the secular world than discussing about our differences. What unite us (Jesus) is infinitely greater! 1.- try to support your views without necessarily starting by contradicting the RCC view (even if at the end the result takes you there). 2.- Use the catechism to refer to the RCC teachings. There are many misrepresentations and "half-trues" stated in your website regarding RCC teachings (clearly contradicted in the Catechism). This is great; I had not heard of Daille' s book before - excellent find. Strange that nobody mentioned it before (that I have seen) in these kinds of discussions about church history and development of doctrine and Romanism. Thanks for your excellent research! 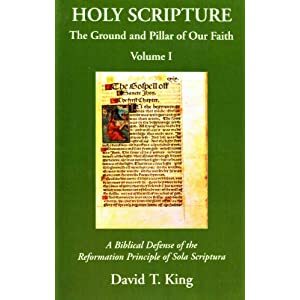 here is an excellent article which quotes extensively from the Council of Trent, Ludwig Ott, official Roman Catholic documents, other Roman Catholic officials and the Catechism and compares them to the Word of God. 15 but in case I am delayed, I write so that you will know how one ought to conduct himself in the household of God, which is the church of the living God, the pillar and support of the truth. Paul wrote I Timothy to provide him with the blueprint of how to "do church".